Last week, I finally got my Sunsilk Damage Hair Repair Kit co-created with Thomas Taw and I did not waste a day and used it right away. Its claim is to reconstruct damaged hair in 10 days and my hair is loving it so far. I haven’t done 10 days just yet. The kit contains a 200ml bottle of Sunsilk Damage Repair shampoo and another 200ml tube of Sunsilk Damage Repair conditioner. The Reconstruction Serum was not included. But by virtue of how soft my used to be overly dry and unruly hair had become since first day of use, I am leaning towards trying that one too very soon. I still have 4 more days before I get to the 10th day. I will surely write a review about this. Meanwhile, let me finish off my post about a good appetite suppressant, that I think I could actually make use of and maybe blog about too in the coming weeks. 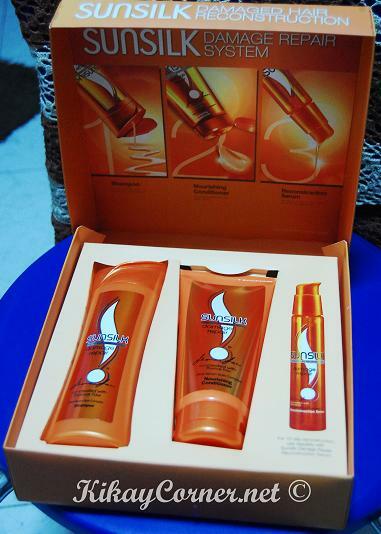 This promo by Sunsilk is until April 17 only. So get those phones out and txt 10DAYS to 2600.